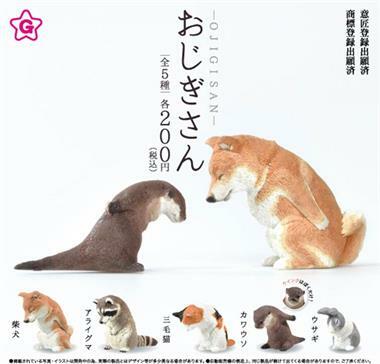 Critters are paying their respects by bowing in the upcoming collection of Ojigi-san Animals gashapon toys from Yell. The figures measure between 42-70mm (1.65-2.75") and are made of PVC. Preorders are welcome to ship in late July 2019. The figures are normally sold randomly through gashapon dispensers in Japan but we'll gather them up into complete sets of five.